I don’t know how the weather is where you are, but in NC it’s HOT! I don’t think it’s dipped below 90 since we moved here. 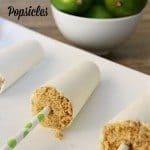 In order to cool off and also celebrate national cheesecake appreciation, I’ve whipped up these Lime Cheesecake Popsicles that are sure to cool you off and fill your need for cheesecake. 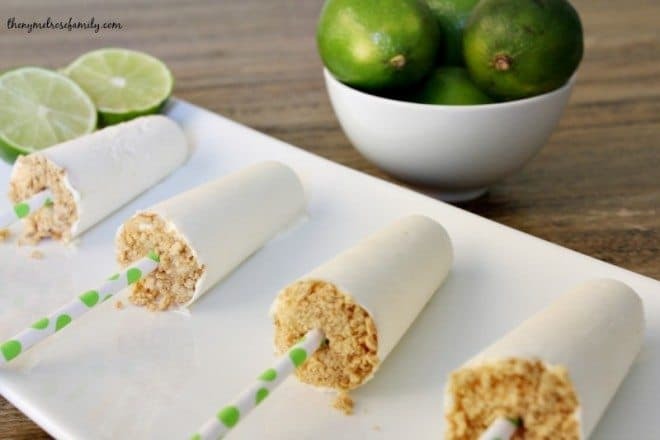 Right before we made our move I had whipped up some Lime Cheesecake Shooters that were so easy and yet tasted like it took me hours to make them so I was inspired to recreate them as a popsicle. I have a tendency to do that. I like to turn a traditional dessert into a popsicle and wow the crowd, like with my Strawberry Shortcake Popsicles. Lip smacking good! 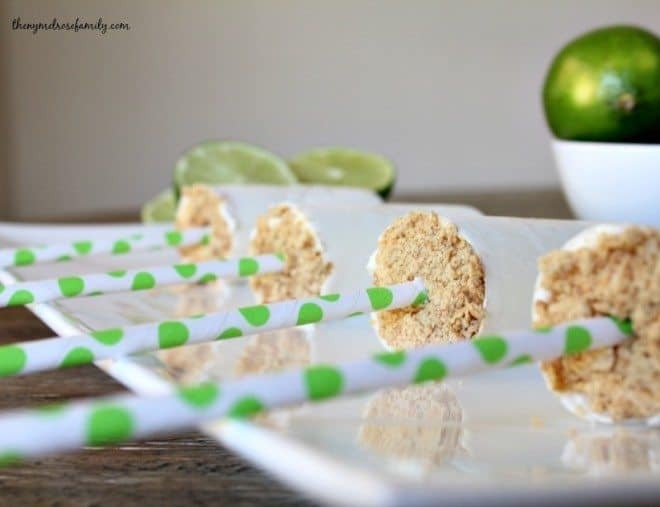 These Lime Cheesecake Popsicles taste just like the real thing and I even managed to take the sugar out of them by substituting 2 tablespoons of agave nectar for the 1/4 cup of sugar that I originally used in the Lime Cheesecake Shooters. One of the easiest ways that I flavor my recipes is by using essential oils like you would an extract, which is what I did in this recipe. If you don’t have lime essential oil then you can always substitute it for the zest of one lime and get the same flavor. I always find that one of the biggest hurdles to overcome is getting the popsicles out of the mold. It can be especially difficult if you use paper straws as the sticks like I did, but I have a secret. There’s a lollipop stick inside that paper straw, which makes it so much easier to hold. 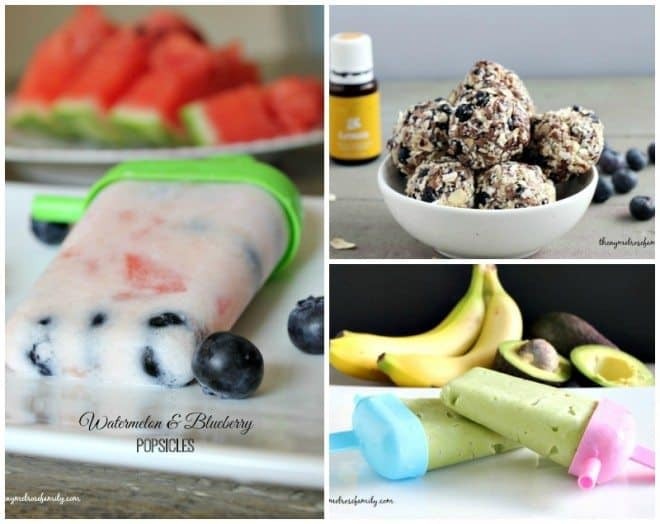 Plus I have a secret trick to getting popsicles out of their mold which you can read about HERE. 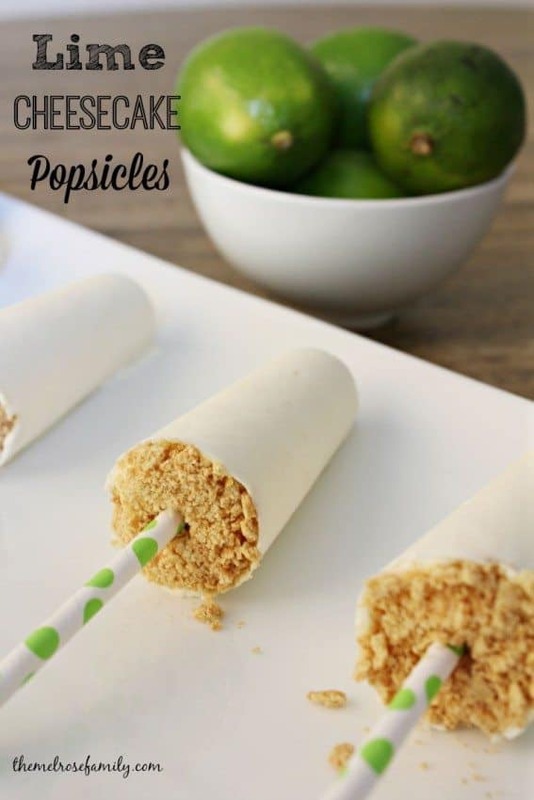 Refreshing and simple Lime Cheesecake Popsicles make the perfect Summer snack for children and adults alike. Cream together the softened cream cheese and plain yogurt. Add in the agave nectar, lime juice and lime essential oil and mix together until the cheesecake mixture is smooth. Place the mixture in a popsicle mold and sprinkle with the crumbled graham crackers. Freeze for at least 4 hours before removing.